Farm Mapping Services creates accurate farm maps for clients. With over ten years experience in producing property maps for farmers, Farm Mapping Services will obtain aerial photo information, ortho-recify this data, and visit farmers on their properties. 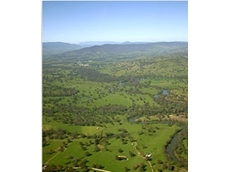 28/10/11 - Aerial photographs help to accurately map farms and provide updates as well as facilitating planning. 06/10/11 - Farm Mapping Services offer an aerial photograp to map conversion service in which they use aerial photography augmented with plotted GPS data. 04/08/10 - Farm Mapping Services’ preferred mapping method is to use aerial photography augmented with plotted GPS data where necessary.